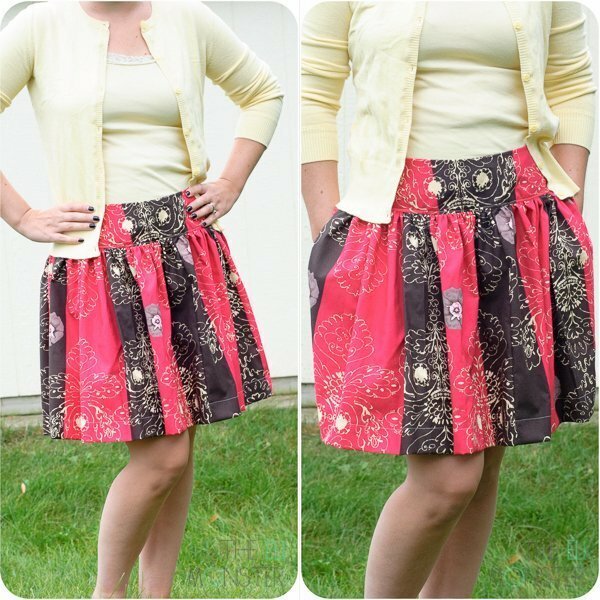 The adult version of the Schatje skirt is here! The Zak skirt features the same flat waistband as the mini version but with a flat back and zipper for the grownups. Side pockets hold your keys or cellphone. The adult version also comes in knee, tea and maxi length. Make a cute short skirt in a casual quilting cotton for a sunny afternoon or in a lined chiffon for date night! The pattern ranges from 0-18 in Misses and includes an invisible zipper.